Home alpha jetman hardware technology Where is Technology Bringing Us? Sundiata Tech- With the activities going on in technology arena one would be tempted to ask where is technology taking us to? looking at alpha jetman as a reference as it blows the door of possibilities open. Can you imagine actually becoming the plane? 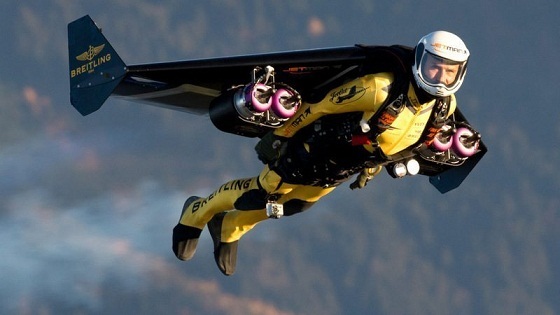 Yves Rossy created a winged jetpack that enables him to take to the sky with the freedom of a bird, awarding him the accurate moniker of Jet Man. And let me tell you, seeing a human body flying right next to full metal jets has completely shaken up what’s possible! Yves Rossy is just one of those great people who must never have heard “it can’t be done”. We thank both Airborne Films–Jetman (what beautiful work) and XDubai (leading out on the edges) for bringing us some of the Jetman story in the videos below! The marvel of this leap in aviation is incalculable. I’m not sorry to admit that my sense of possibility was expanded by watching this and that I shed a little tear. Just imagine the thoughts running through the minds of those jet pilots flying in formation, watching JetMan and his friend crisscross the sky above them! I was going to leave it there, but I had so many questions. I’m not sure the following video answered many of them, but the pure wonder and spectacle of this next video bring an entirely different kind of awe.